The Oregonian published an article today, featuring Jesuit Volunteer AmeriCorps Member Caroline Kelly and other Oregonians who offer their perspectives on the link between food and faith. Eating seasonally creates “a child-like anticipation,” she [Kelly] says. “Peaches were in season, and then they were gone. I missed them dearly, but then apples came along and they were the best apples.” Her desire to eat food at its local peak is only one strand of Kelly’s approach to food. 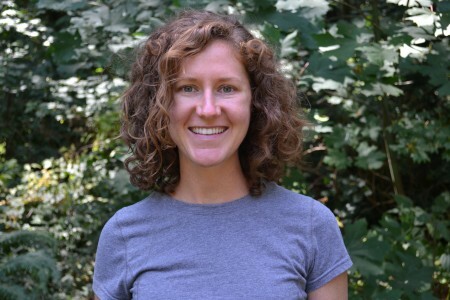 Caroline currently serves as a JV AmeriCorps Member in Portland at Ecumenical Ministries of Oregon as the Food Justice Coordinator. She helps improve access to fresh, local food in the Portland area through organizing and supporting farm-to-congregation partnerships and assisting with a grassroots community food assessment. She also provides education on food justice, including organizing a service learning project and advocacy on two key issues-as well as direct service at a food pantry.